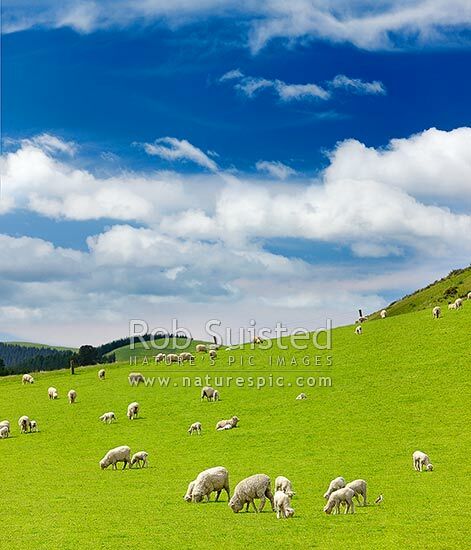 Sheep and spring lambs grazing on lush green grass pasture. Blue sky. Square format, Waipara, Canterbury, Hurunui District, Canterbury Region, New Zealand (NZ), stock photo.